Welcome Home â¦ Nestled on a private drive in the sought-after Indian Hills Community. Feel the warmth and seclusion of this mountain retreat, with the awesome outdoor living spaces to enjoy the surrounding wildlife and views. Living room is full of charm and character not to mention an amazing fireplace and vaulted wood ceilings. The kitchen will be enjoyed by the chef in the house, accompanied with lots of cabinet space, walk-in pantry and windows framing the mountain views. Main floor master bedroom with adjoining remodeled bathroom. 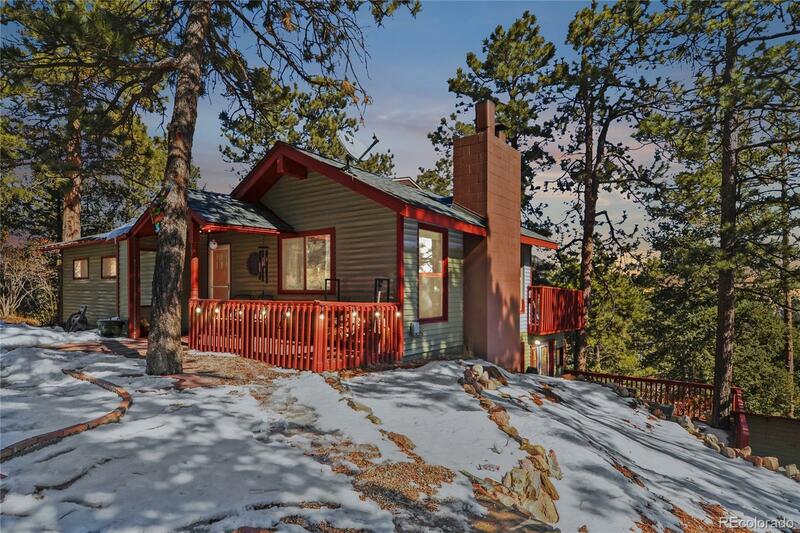 The finished lower level of this mountain retreat is home to an additional 2 bedrooms, a Â¾ bath, large walk-in storage room, special bonus room, and a large and inviting family room full of light and functionality. Only 30 minutes from downtown Denver and 15 minutes to Evergreen. This active community has it all; hiking trails, close proximity to shopping, restaurants, art galleries, theaters, mountain biking and Indian Hills Community Center.